This visual indicates where Self-Evaluation and Sustainability fits in the Transition from Jail to Community model. 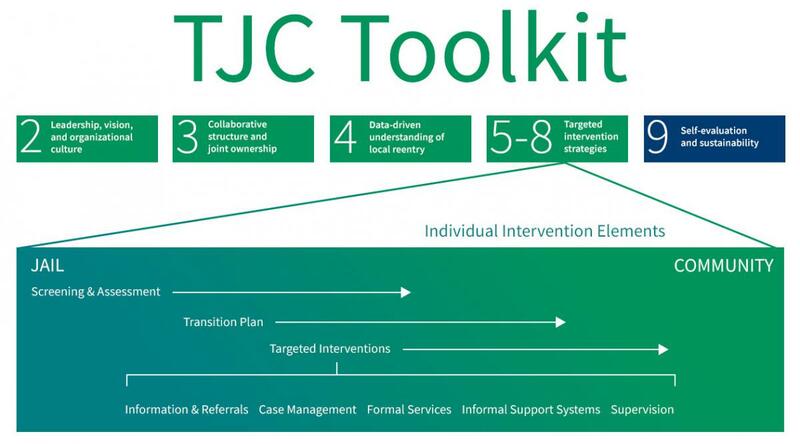 It is one of five key system elements that must be in place for the TJC model to work. Welcome to Self-Evaluation and Sustainability. 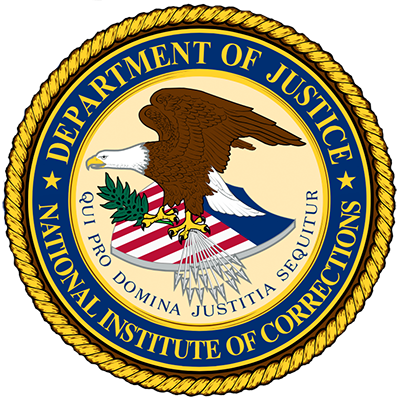 This module assists you with guiding, improving, and maintaining your jail transition effort through self-evaluation. "In Orange County, California, we are moving toward the incorporation of a self-evaluation model and development of a database focusing on key factors in evaluating our in-jail and community-based reentry system. This will improve our efforts as we move forward to help assess and adjust the model to meet the needs of our clients and the community." Self-evaluation involves the use of objective, observable information (i.e., data) to guide operations, monitor progress, and inform decisionmaking about changes or improvements that may need to be made. When done properly, self-evaluation can validate the effectiveness, or lack thereof, of a program or approach. This can be very helpful in leveraging resources and support from your community. Perhaps most importantly, self-evaluation facilitates system discussion based upon facts and real outcomes that transcends philosophical differences regarding what is right. It focuses on what interventions, actions, or practices work best to realize enhanced long-term public safety outcomes. Self-evaluation doesn't have to be complicated or expensive, but it does require support from your partners and a commitment to use data to examine processes and procedures on a regular basis. Self-evaluation also provides a foundation for sustainability. Sustainability involves the use of strategies and mechanisms to ensure the gains or progress your initiative makes is sustained over time despite changes in leadership, policy, funding, and staffing. Does your agency measure and make public the rate at which people released from jail of differing risk levels are rearrested, reconvicted, and reincarcerated? Are your agency's programs regularly assessed for their impact on targeted outcomes, such as recidivism, employment or homelessness? Does your agency regularly calculate both the enrollment rate and the completion rate for your programs? Does your agency monitor its programs to ensure that a curriculum is delivered as intended (e.g., program fidelity)? Does your agency measure outcomes as they relate to individual officers, treatment providers, or practitioners? Does your agency have quality assurance measures for key processes such as assessment, case plan development, and program delivery? Some of you will be just beginning to develop self-evaluation procedures, while others will be evaluating your programs and broader transition strategies and feeding the results back into program planning. In either case, this module will help you understand how self-evaluation is vital to monitoring your initiative, delivering programs where they are effective, and sustaining your transition efforts. This module has five sections and will take between 20 and 30 minutes to complete. Download Module 9 in PDF format.